Step back in time when you walk inside this eclectic, 1950’s era home! 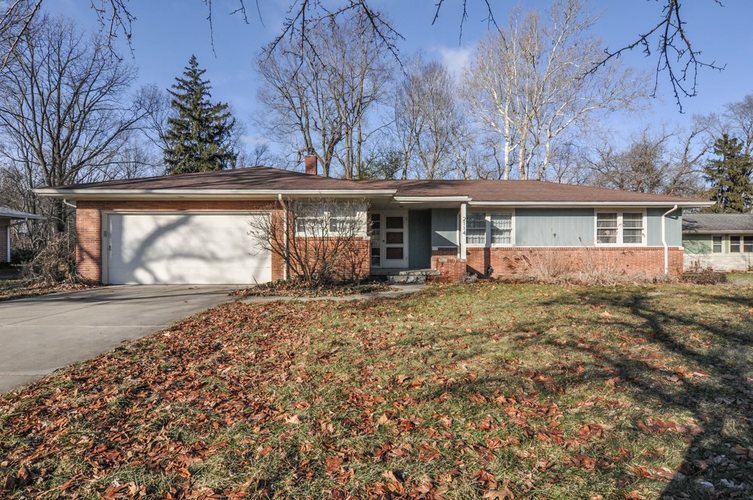 Situated on a large, private lot, this 3 bedroom, 1 and ½ bath home has been tastefully decorated and styled with eclectic decor and finishes that highlight the home’s cool, retro features. The bright and welcoming, eat-in kitchen boasts classic subway tile backsplash, an oversized gas burner cooktop, two built-in ovens and a breakfast bar. Right off the kitchen sits a cozy screened in porch overlooking the private backyard, perfect for a morning cup of coffee or a summer evening entertaining your guests. You’ll love the amount of natural light that flows throughout the entire home, especially in the large living room with three oversized, picture windows and a lovely wood burning fireplace. Other features of this home include original hardwood flooring throughout (under the hallway carpet), a new water heater installed in 2017, an irrigation system, and recently painted interior and exterior. This home is truly one of a kind and has an unmatched amount of character that anyone can appreciate! Schedule your showing soon! It won’t last long. Directions:West on Teal Rd. Turn North on Birch lane. House on the left.